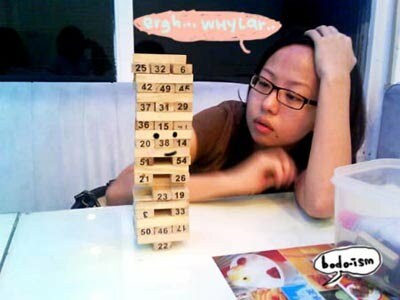 this is what girls do when they are mou liu and don't have 'the other half' to mou liu with them. first stop. picking up ms.chan and bodo baby. 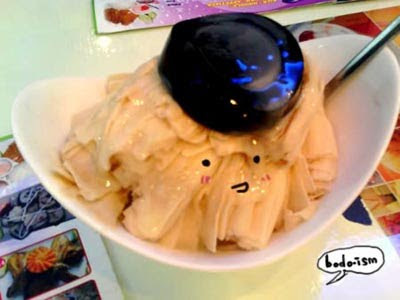 ms.chan wanted to eat something cold..for a moment felt like a boyfriend girlfriend thing. "so tired still wanna go out?" "so, where you wanna go?" "don't know, just want something cold." hahahahah seriously with my -ve knowledge skills on road sense and places at 10+pm. it's like "howhowhow?!" running through my head. now i know why boyfriends are always pre-prepared. ♥ ♥bodo baby de milk tea snow with guilingao..which the only thing she can say when it first came was..."wah the guilingao look like tyre-_-"
♥ ♥ms.chan and i punya Big Ice Strawberry Garden. cheat one. hahahah not big also! maybe not big enough for us and the strawberries...sigh. test chopping skills isit? slice until so fine. ♥ ♥see the bottom....why only got one no.22 block holding it? 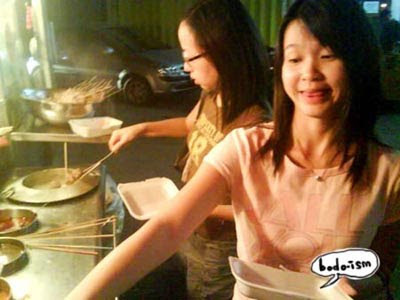 all bodo baby do one-_- she giler one. 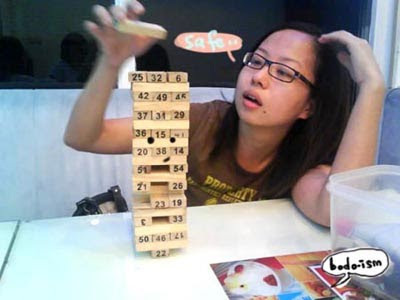 later you can see her pintai face when taking out the blocks :D i am just thankful ms.chan don't read blogs cause i will die if she knows i uploaded her leng photo up here. ♥ ♥bodo baby's style is not poking. she just take! SCARY WEI!. she's crazy! and always when it's her turn, supposedly gonna fall. veryvery crucial edy. but don't fall one-_- kns. the wood blocks love her or something lar must be. 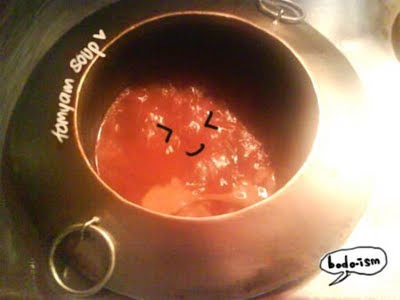 ♥ ♥there was tomyum soup. yumyumyum in my tumtumtum. ms.chan say she 1st time see loklok cart with tomyum soup. i din't care. i just like tomyum :D hahahha felt like drinking the soup. 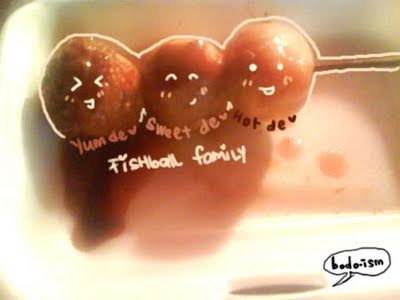 i noticed 90% girls like fishballs :D i like them cause they are round.